Reliability, Versatility and Durability. That’s what you get with FOX IV’s Datamax-O’neil based label printer applicators. These are some of the most versatile print and apply units available. 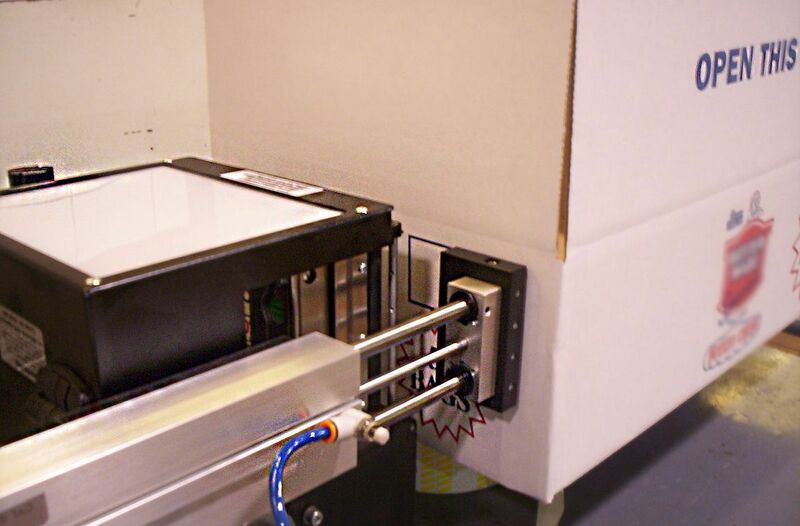 This rugged print and apply equipment series features units with high resolution print heads, wide label capabilities, and optional support of UHF or HF RFID configurations. Additionally, the internal language emulation program allows seamless integration with Zebra and Intermec datastreams as well as Datamax-O’neil’s DPL print language. Built with Datamax-o’neil’s A-Class OEM Modules, M-Class II industrial label printers or H-Class Wide Web Label Printers, these popular label printer applicators address a wide variety of applications including industrial, healthcare, automotive, 3PL distribution and retail market sectors. 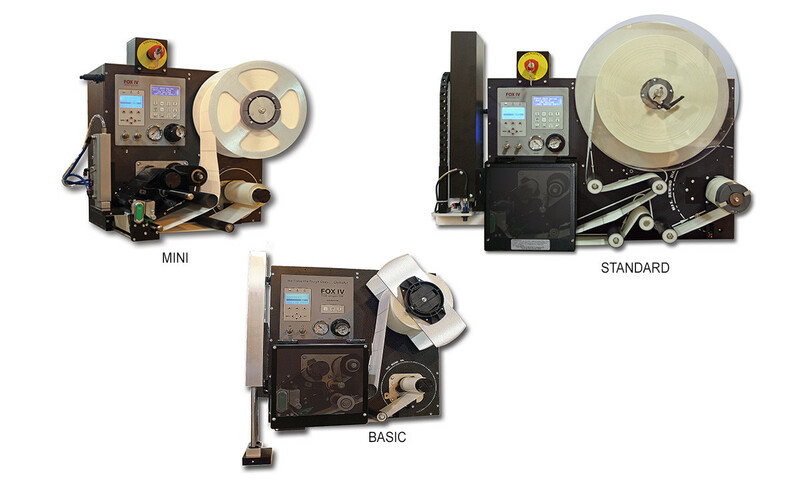 Label printer based models are available in FOX IV’s sleek Mini body style or our high capacity Standard body style. FOX IV’s Datamax-O’neil label printer applicators are our most popular and most installed Datamax print & apply systems on the planet. Why Choose the a Datamax-O’neil A-Class modular printer applicator from FOX IV? 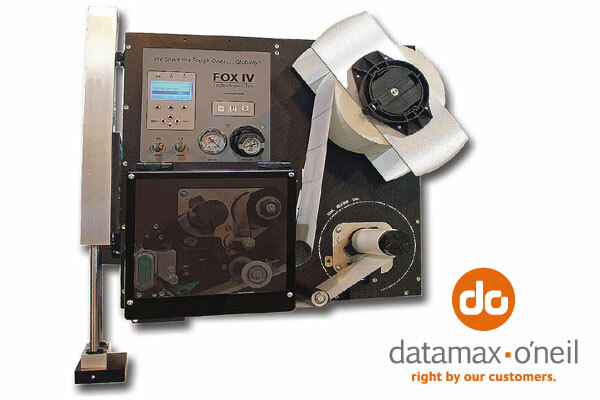 Why Choose a Datamax-O’neil printer based label printer applicator from FOX IV?